A Carols Ensemble of eight band members provided a one hour program of Christmas Carols and Christmas Tunes at the Family promotion evening at Bunnings Boolaroo on Thursday 7 December. The Ensemble greeted Santa with Jingle Bells as he arrived on a fire engine to listen to the “wish lists” of the children. 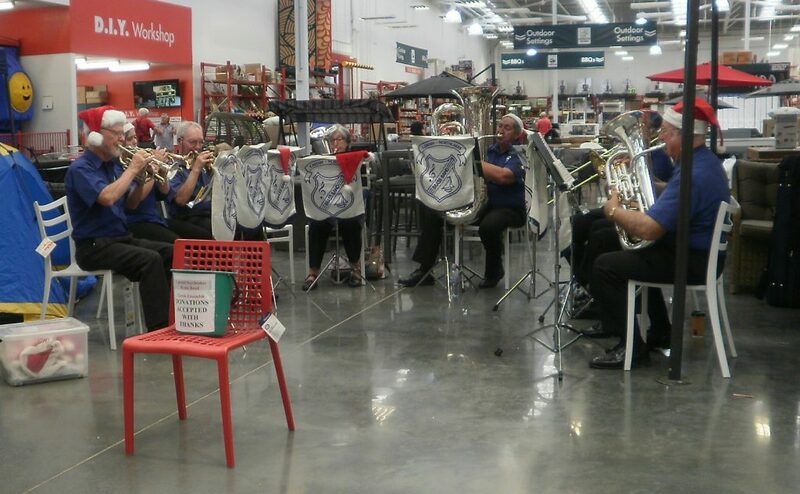 The Ensemble entertained at Wallsend Bunnings on Saturday morning 9 December and proceeded to Bunnings Belmont to continue to provide “Christmas music for the Customers” in the afternoon. Bunnings Boolaroo was the final venue on Saturday 16 December for a one hour morning performance.